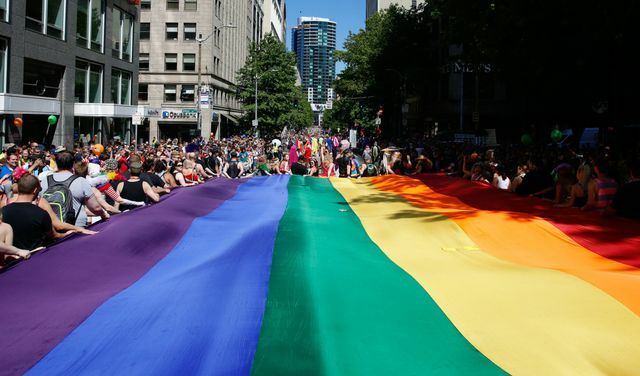 The Seahawks, Mariners, Sounders, Storm and Reign have come together to promote inclusiveness and equality, and organizers on Tuesday said this is the first time a city’s professional teams have joined together for this cause. As prominent fixtures in the Seattle community, five major professional sports teams have united to support LGBT inclusion and equality. This week, the four teams currently in-season will each have a game dedicated to the LGBT community, with the Sounders’ match on Wednesday, the Mariners’ game on Thursday, the Storm’s game on Friday and the Reign’s match on Saturday. Hudson Taylor, the executive director of Athlete Ally, said these issues often come to the forefront in a reactionary way when negative instances occur. Instead, he said, inclusivity should be discussed and encouraged proactively. Given their high-profile status, the voices of these athletes and teams have the ability to reach thousands of fans, and they understand that. Ed Goines, the Seahawks’ vice president of government affairs and general counsel, said the Seahawks organization is aware of its “very large platform,” and because of that, the team conscientiously selects what causes it stands behind. Athletes shouldn’t necessarily feel required to speak out, Rapinoe said, but they should understand that people are watching their actions and choices. Some athletes are comfortable in that spotlight and others are not. Plus, she said, advocacy can take many different forms. As far as the environment created inside their locker rooms, Evans and Rapinoe’s teams share similar goals for inclusivity but in somewhat different settings. If disrespectful language is used in the Sounders’ locker room, Evans said the players address the issue and make it clear that it’s not acceptable. 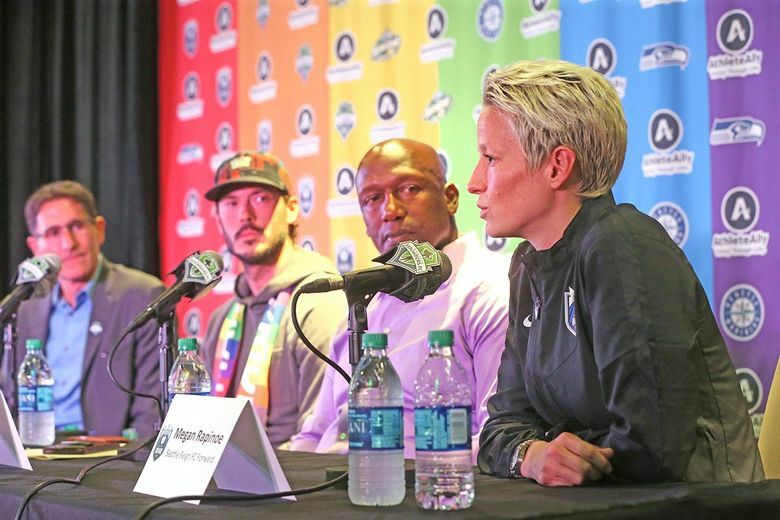 Sounders players come from multiple continents and sometimes from “backgrounds where being gay is not just frowned upon but can be dangerous,” Evans said. In Seattle, Rapinoe said people are accepting of individuals who are gay. There’s an ongoing process, Rapinoe said, of making sure that teams have environments that are safe for all athletes. But that’s a cause Seattle’s teams are willing to stand behind. “Not everyone is going to agree with every position we take,” Sounders FC owner Adrian Hanauer said. “That’s OK.
Sounders Hosting their annual Pride match on Wednesday vs. Orlando at 7:30 p.m.
Mariners Hosting their annual Pride game on Thursday vs. Detroit at 7:10 p.m.
Storm Hosting their annual Pride game on Friday vs. Phoenix at 7 p.m.
Reign Hosting their annual Pride game on Saturday vs. FC Kansas City at 7 p.m.